Are you planning to have a website without paying penny in Nepal? 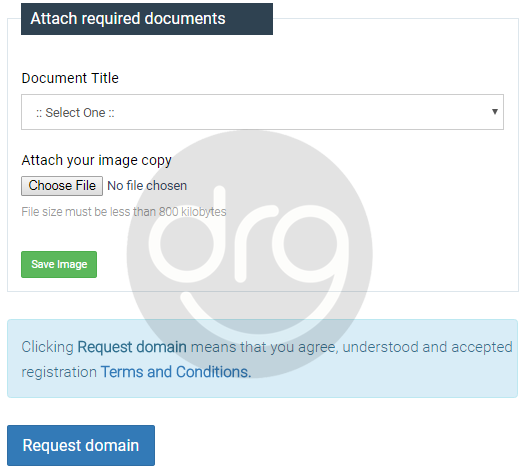 If you are interested to create website that is free of cost, you must give a try :P To create a free website you require Domain, Web Host (You can use Google Blogger), DNS Settings, etc. I'll explain others in later posts. Lets get a free Domain, i.e. '.np' Domain. How can I create a FREE website or .com.np website for FREE of Cost In Nepal? '.np' is the Internet Country Code Top-Level Domain(ccTLD) for Nepal and it is free. 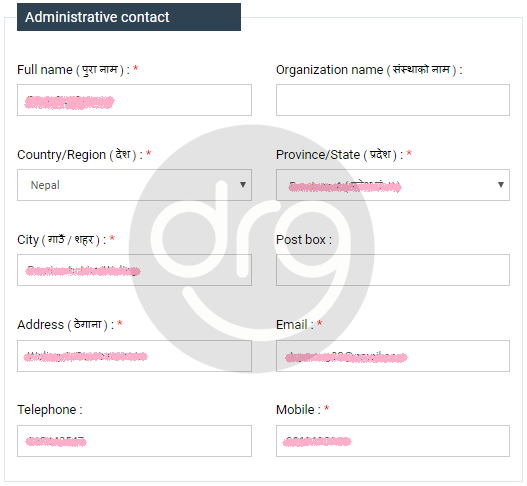 Mercantile Communications is Nepal's official Domain registrar that provides .np domain for free of cost in Nepal. 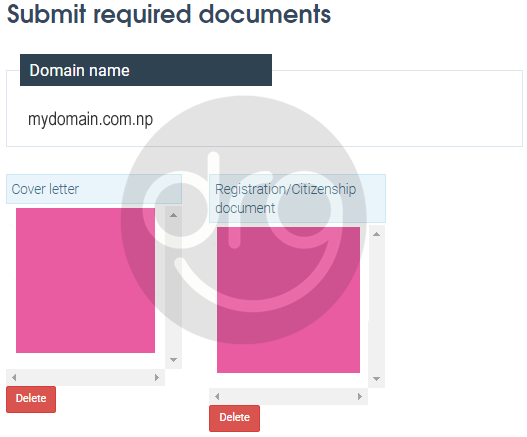 .np domain is available free of cost in Nepal to encourage Nepali businesses, organizations and individuals to have online presence and will remain so as long as Mercantile continues providing it. What are the requirements to register .np domain free of cost? ✰1. Email account - like yahoo; gmail; hotmail; etc (I prefer gmail account). 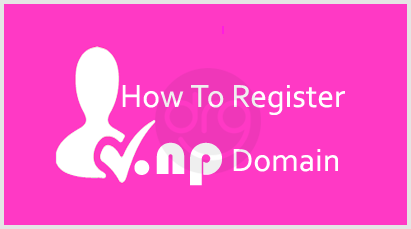 Here are the simple steps to register .np domain for free of cost. Follow the steps to register .np domain for free. Step-1: Go to register.com.np (Offical Website Of .np Domain Registration). - Fill up Full name, User Email (yahoo; gmail; hotmail; etc.) and password. Now click on Create account as shown below. - After creating user, Mercantile will send you a verification email. 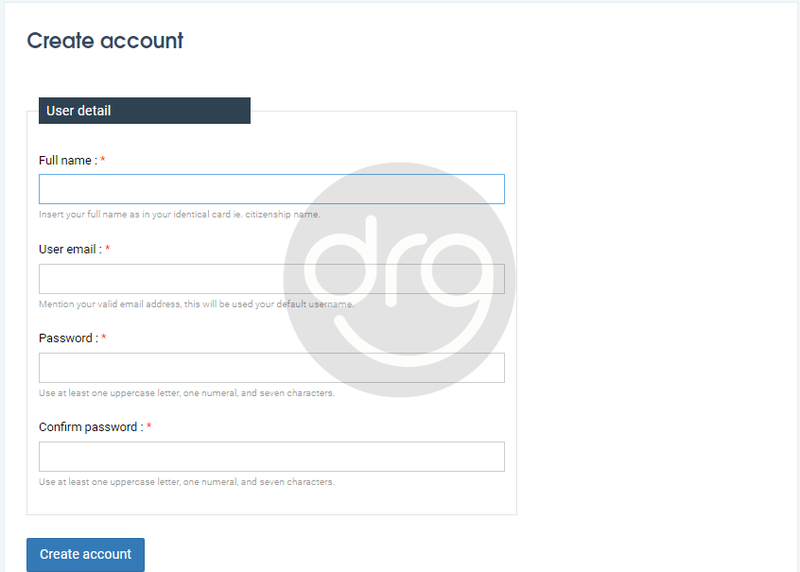 Step 3: Once you verified it sign in to your account. Step 4: Check whether your domain name is available or already registered. Step 5: If your domain name (Here-mydomain.com.np) is available then click on [Register now]. 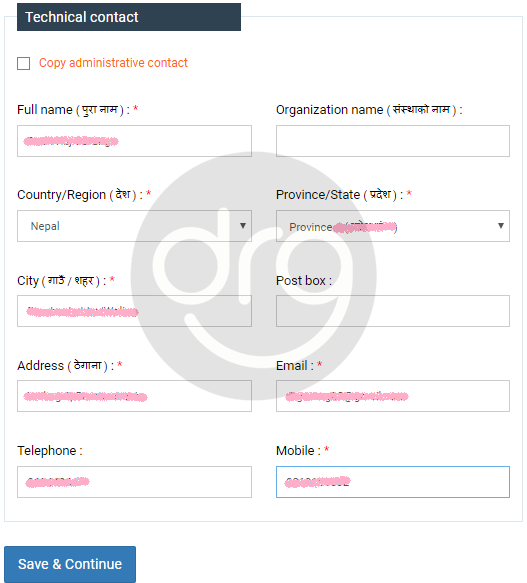 Step 7: Fill up the 'Administrative Contact' form with detail such as Full Name, Country/Region, Province/State, City, Address, Email, Mobile, etc. Step 8: Fill the same detail on 'Technical Contact' form as of 'Administrative Contact' form. You can do it easily by putting tick mark on ''Copy administrative contact'' :) and then click on 'Save & continue'. Step 9: Now, the most important part of .np domain registration is attaching the document. We have to attach scanned documents like 'Cover Letter' and 'Citizenship Card'. The Cover Letter should be hand written OR you may email directly to hostmaster@mercantile.com.np. Later scan the sent email and attach it as 'Cover Letter'. The scanned documents must be less then 800 kb. Step 10: Finally click on 'Request domain'. 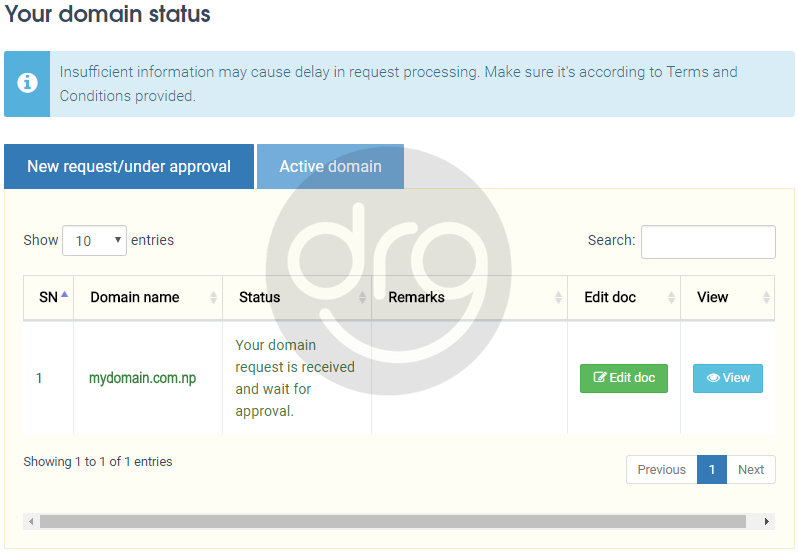 Domain registration request has been sent, now wait for the approval. Normally it takes 1-2 business days to approve the domain name. 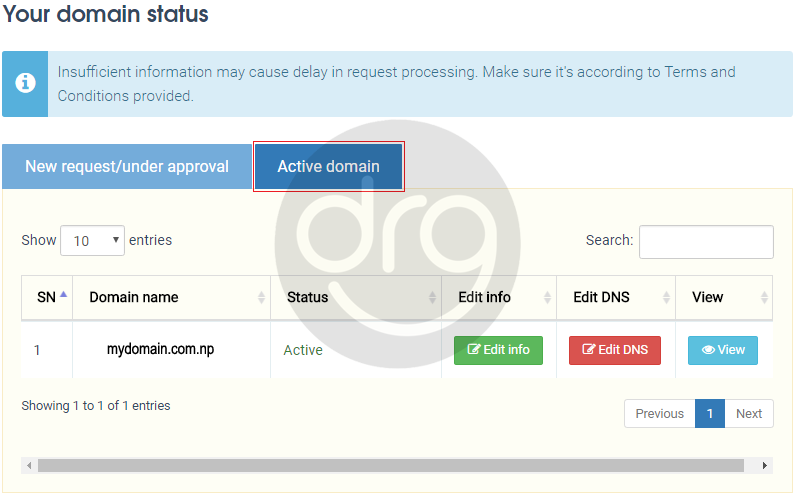 0 Response to "How To Register .np Domain Free Of Cost In Nepal"